We love our Six Nations rugby at the distillery where our passion for making Isle of Raasay single malt whisky is matched by our passion for supporting Scotland at Murrayfield and on the road. For instance did you know that our Co-founder Alasdair Day is also a rugby coach at Livingston Rugby Football Club where he looks after the Under 14’s. 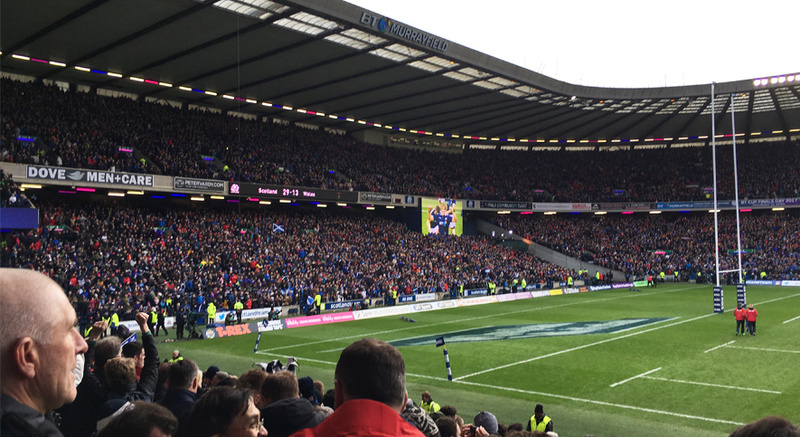 Our distiller Iain Robertson is a keen player and had the best of times witnessing Scotland’s magnificent Autumn series performances at Murrayfield. 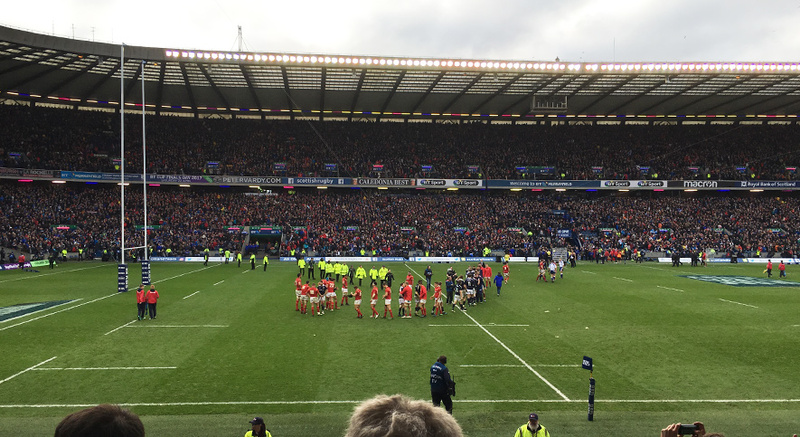 I, on the other hand chose to visit Cardiff on Saturday for the first game of the Six Nations 2018 between Wales and Scotland. Errmmm… so back to the whisky. Like the Scots, the Welsh are rightly proud of their own whisky traditions. Although Welsh whisky died out in with the demise of the Frongoch Distillery in Gwynnedd in 1910 it is now enjoying a revival. This began with the opening of the Penderyn Distillery in the Brecon Beacons and commencement of production in 2000. Penderyn now produces 700,000 litres per year of peated and unpeated single malt whisky finished in Madeira, Sherrywood and of course Bourbon. In 2013 the Dà Mhìle Distillery in West Wales opened – confusingly given a Scottish Gaelic name meaning ’Two Thousand’. Originally an outlet for specially commissioned organic whisky from Campbeltown’s Springbank Distillery, It released its own organic single grain Welsh Whisky in December 2017. In the weeks ahead our team will be out and about following Scotland – Iain Robertson will be our man in Rome for the Italy game and we’ll have a good representation at the Murrayfield ties. 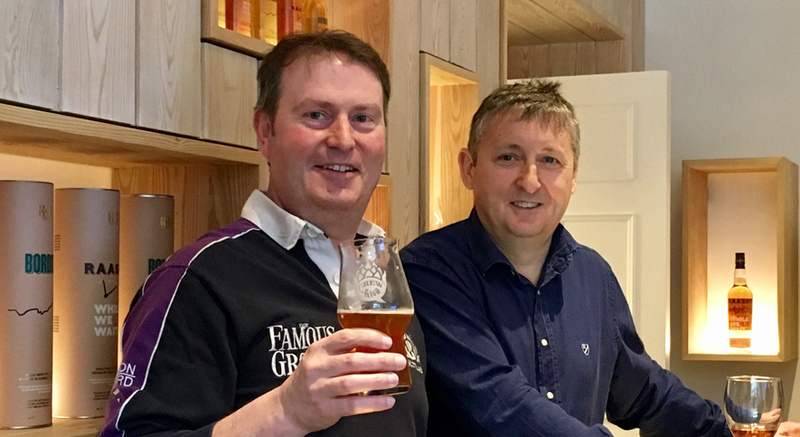 It seems Six Nations competing in rugby are now getting close to six nations producing fine whisky with new distilleries producing in Ireland and England. If you do know of any whisky distilleries in Italy and France please drop us a line! So well done the Welsh on both counts – we raise a glass to a great team performance and salute them in the mother tongue.